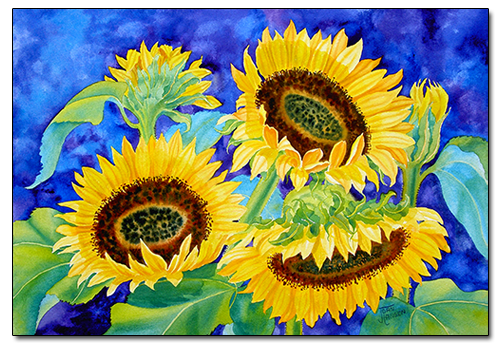 Enjoy this watercolor painting of beautiful sunflowers! They are so refreshing. It's interesting to watch them follow the sun. This painting is available. It is framed with custom moulding and a double matt. When you make your selection, click on the Add to Cart button to finish your purchase.